As President George Bush is fond of saying, local governments are in charge of filling potholes. But he often fails to mention the countless other services they provide in the interest of public safety and health. American City & County’s Crown Communities Awards recognize those extra steps local governments take that have lasting effects on residents, businesses and the environment. 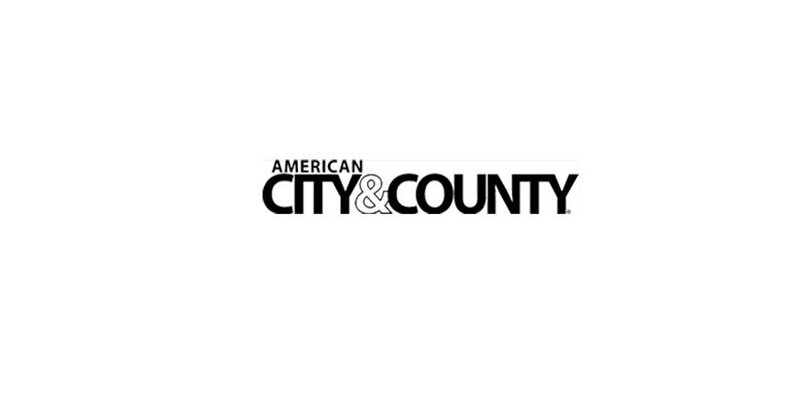 This year, American City & County editors divided the annual awards competition in two, setting separate deadlines for readers to nominate projects completed by counties and those by cities. In this issue, we present the winners of the county projects: Hillsborough County, Fla.; Leon County, Fla.; Nueces County, Texas; and Westchester County, N.Y. The winning four projects each demonstrate creative methods for solving enduring problems, offering new services to county residents and even filling potholes. The deadline for entries for the Crown Communities — Cities competition is Sept. 15, 2006, and entry forms are available on the Web at www.americancityandcounty.com/forms/. Winners will be announced in the December issue. Through a research and demonstration project, Hillsborough County, Fla., is evaluating innovative stormwater management practices for urban areas, focusing on new ways to remove nitrogen, a primary pollutant for Tampa Bay and other water bodies in the area. Nitrogen, a common element in wastewater treatment plant discharge and stormwater runoff, encourages algae growth in surface water, blocking out sunlight needed by natural vegetation that supports aquatic animal life. Over the past 50 years, nitrogen loadings to Tampa Bay have increased by 17 tons each year as a result of development and population growth, negatively affecting the bay’s health. For example, the area at the bottom of the bay covered by seagrass has dropped from 60 square miles in the 1950s to 40 square miles in 2002. According to David Glicksberg, Hillsborough County environmental manager, reducing nitrogen is an important step toward improving the Tampa Bay area water resources. “Typical stormwater ponds remove 30 to 40 percent of the nitrogen load, so we’re interested in finding ways to improve that,” he says. As a result, the county built the Taliaferro Stormwater Research Project on 5.6 acres in northern Hillsborough County. The county transformed the site into a research facility of five interconnected stormwater ponds and constructed wetlands. Three of the ponds are lined, and two are unlined to create varying conditions for subsurface and surface water flow, according to project manager John Martis. In one pond, the county set up a pilot demonstration in September 2005 to test a new filter. The media in the Hillsborough Filter was chabazite, a natural zeolite — a type of low-cost mineral with porous structures that remove nitrogen in the form of ammonia from stormwater. The filter system’s two-chamber concrete baffle box removed sediment from the pond water before it passed into a two-chamber concrete tank containing the filter and a clear well. The system also included a stormwater storage tank and ammonia dosing tanks. A second control filter contained sand. A splitter box directed equal flows of identical influent to the two filters. Water from the ponds was pumped into the stormwater storage tank or directly to the filters. Next, the county will test the filter in a real-world stormwater runoff situation to see how it performs in an uncontrolled environment. It also plans to run additional tests with different filter media at the Taliaferro site. Agencies/companies involved: Hillsborough County Public Works Department; Florida Department of Environmental Protection; Applied Environmental Technology, Thonotosassa, Fla.; Berryman & Henigar/U.S. Bureau Veritas, Tallahassee, Fla.
Leon County, Fla., has launched a countywide effort to install automated external defibrillators (AEDs) in public buildings, promote cardiopulmonary resuscitation (CPR) training and improve the community’s response to individuals suffering cardiac arrest. As a result, the county is saving more heart attack victims than the national average. When Leon County assumed responsibility for the ambulance service (LCEMS) from its hospital, it identified areas for improvement, one of which was response to cardiac arrests. In 2004, the county’s then-commissioner Jane Sauls formed the Leon County/Tallahassee Heart Ready Coalition, a partnership between public and private organizations, to work with LCEMS to facilitate CPR training and AED availability. During cardiac arrest, AEDs shock the heart, restoring it to a normal rhythm until the patient can receive advanced care. Since April 2005, the coalition has installed AEDs in 10 county buildings and in all 65 county schools. All first responders, including LCEMS’s 20 ambulances, Tallahassee Fire Department vehicles and police cruisers, also have been equipped with AEDs, according to Parwez Alam, Leon County administrator. In March, the Board of County Commissioners approved a $13,000 grant application to the Florida Department of Health (DOH), Bureau of Emergency Medical Services that will be used to purchase 10 more AEDs for county buildings. It also received a state grant to purchase and install AEDs in all of the sheriff’s 154 uniformed patrol cars. A county study shows that of 101 cardiac arrests LCEMS responded to between Oct. 1, 2004, and Sept. 1, 2005, 21 percent experienced a spontaneous return to circulation on arrival at the emergency room — well above the 7 percent average for EMS systems nationwide. Alam says the county now wants to require AEDs for all new commercial construction. Out of 819 county employees, 27 percent have been trained in CPR. Also, several hundred residents have been trained and certified through free clinics. The ultimate goal, Alam says, is to have AEDs and AED-trained people throughout the county. “Every worker in every McDonald’s needs to be trained,” he says. Agencies/companies involved: Leon County Emergency Medical Services; Leon County Sheriff’s Office; Tallahassee, Fla., Department of Health; American Heart Association, Dallas; Tallahassee Memorial Hospital; and Redmond, Wash.-based Medtronic Emergency Response Systems. The rural roads in Nueces County, Texas, were in such poor condition that ambulances responding to emergency calls were forced to drive 20 miles per hour (mph) in 60 mph zones to avoid monster potholes. Farmers could not squeeze their equipment across antiquated 28-foot-wide-or-less timber bridges, and school districts spent thousands per bus each year on vehicle maintenance because of rough roads. For decades, the county’s public works department — charged with maintaining more than 700 miles of roads and 84 bridges annually — averaged only 10 miles of paving and reconstruction projects each year. As a result, most of the 50-year-old roads and bridges were in shambles. After receiving complaints about the county’s decrepit infrastructure almost every day, the Nueces County Commissioners Court called for a comprehensive — and controversial — initiative to rehabilitate 280 miles of roads and replace 39 bridges quickly. To fund the $58 million Nueces County Infrastructure Rehabilitation Project (NCIRP), the county issued Series 2004 Certificates of Obligation to be repaid by taxpayers in 20 years. By fast-tracking the project over 18 months, the county locked in a low interest rate as well as capped fuel, material and labor costs, saving millions of dollars. All roads and bridges in the project were repaired by April 2006 with costs under budget by $6.8 million. Since then, Little says, the county has received “absolutely zero” complaints about the roads, although many have called to thank the county for fixing them. Agencies/companies involved: Cities of Agua Dulce, Bishop, Corpus Christi, Driscoll, Petronila and Robstown, Texas; Omega Contracting, Dallas; and Dos Logistics, Robstown, Texas. Residents in most counties can visit their local government’s Web site to find the address of the local library. Westchester County, N.Y., residents, however, can visit http://giswww.westchestergov.com and not only find the address of the library nearest to them, but also print an interactive map and directions. Several years ago, Westchester County officials decided they could better meet residents’ needs with interactive online mapping services. They decided to integrate geographic information system (GIS) technology — which had been limited to internal land use and environmental operations — into critical public services. The initiative, called “Mapping Westchester County,” was designed to support the county’s emergency response and public safety services, infrastructure management, transportation planning and land information systems. In April 2005, the Westchester County GIS staff redesigned its central GIS Web mapping program, which was funded through the information technology department’s budget. The redesign consolidated previously disparate programs into one unified Web portal. As an access point to several mapping programs, the portal offers GIS functions and layers of previously unavailable data. Each component was designed to meet needs that had been identified at the county level or out in the community, says Ana Hiraldo, GIS specialist. For example, under “Find Your Elected Officials,” residents enter their addresses and find information about their elected officials, and directions and a map to their polling places. The “Community Facility Locator” provides the locations of more than 2,000 community facilities, including daycare centers, bus stops, schools, hospitals, libraries, train stations and beaches. The Web site, which receives 13,000 hits each day, even helps residents find the lowest gas prices. Westchester County GIS recently added an aerial photo layer to its Web site and soon will add a hurricane zone component. It is working with the county’s 43 local governments to integrate their data into the Web site so residents will have a one-stop online resource for geographic information. In addition, next year the county will begin offering GIS-based information over the phone through a speech-recognition program, Jacknis says. Agencies/companies involved: Westchester County, N.Y., Department of Information Technology; and Bowne Management Systems, Mineola, N.Y.